The cantina comprises of four sections carved out of the hillside in which the grapes are transformed into wine. 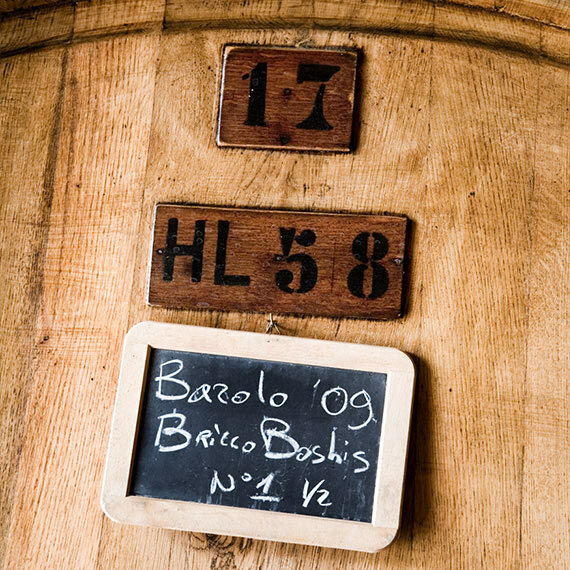 In the winery, both young and aged wines cross paths, with each different vintage expressing its character in accordance with the various processes that the Cavallotto family has conceived and perfected through experience and careful planning, and which best displays the unique microclimate of the Bricco Boschis. 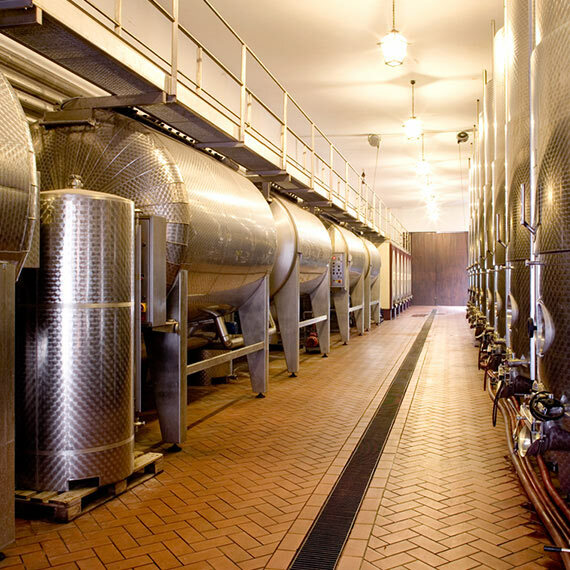 The Vinification room was constructed in 1971 and has both horizontal and vertical temperature-controlled stainless steel tanks in which the grapes begin their fermentation from indigenous yeasts. Crush is according to modern practices with the sole exception that the grapes are not passed through a crushing machine during the destemming process. The slow rotating action of the blades (made specifically for this purpose) in the horizontal rotofermentors allow us to keep the floating skins below the level of the fermenting liquid for a long, semi-submerged-cap maceration. After the fermentation of the young wines has finished, Dolcetto and Freisa are transferred to concrete tanks for the malolactic, while wines made for ageing, such as Barolo, Nebbiolo and Barbera, are racked to large casks (botti) of Slavonian oak located in the aging cellars. 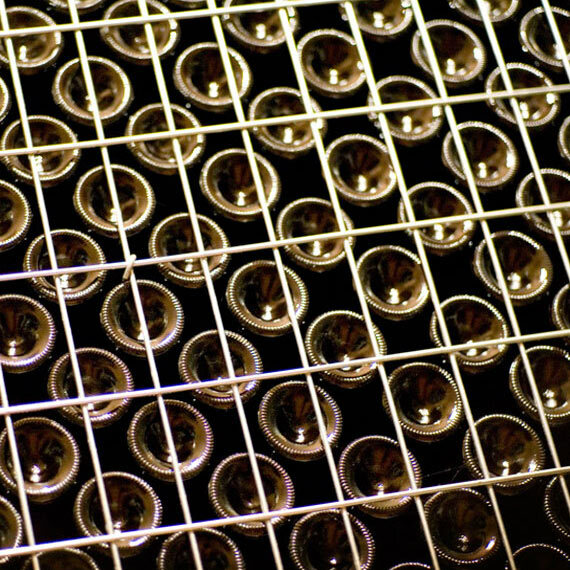 For these latter wines, malolactic occurs the following spring, when the wines are re-racked back to the cement tanks in the fermentation room. Warmer ambient temperatures (18-19°C) in this area start the malolactic without use of inoculating agents. The Ageing Cellars are the cradle of the Noble Wines, where especially the Barolo matures and takes on its unique characteristics. The area was excavated from the inside of the Bricco Boschis hill, and is the realm of the untoasted Slavonian Oak botti (which range in size from 20 to 100 hectoliters). The Cavallotto Family has created a superb microclimate inside the heart of the hill where the constant temperature and humidity are maintained by virtue of tubular vents in the walls which expose the subterranean calcareous marl to the cellar air. This “Camera d’Aria” (Room for Air) contains and represents the essence of the Cavallotto family’s work and passion for their wines. The Ageing Cellar for the bottles (always resting on their sides) is a single underground room that was excavated in 1992, and has a constant temperature that is optimal for the conservation of bottled wine. In 2009 work was finished on an expansion which added vents that opened on to the subterranean calcareous marl and which help maintain constant humidity of 80% at a temperature of 15C. Bottled wine rests here in anticipation of being prepared for sale (labeling, boxing and palletizing). The Bottling Area was constructed in 1952 and contains the monoblock bottling machine made by GAI, a local company (located not far from the Cavallotto Winery) that makes bottling machines of the best and latest technology for the bottling of highest-quality wines, which are in use around the world.